As the software is constantly being developed, you may find the request for a Firmware Update during the connection of the software. This means that the software stored in the hardware module processors needs to be adapted to the status of the PC software. This occurs automatically. 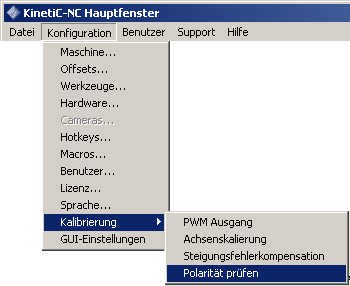 First open the hardware dialogue using Menu->Configuration->Hardware. The module due for an update, needs to be located in the upper part of the list. Should this not be the case and the module is located in the lower field as depicted on the lower image, select the module and confirm by pressing Separate. Doing so separates the machine from Software and the module and is then placed as unused in the upper list. By clicking on the „Update“ button you will start the module update. In the upper area of the dialogue window you can check to make sure you have selected the correct module. Click on the button with three points to select an update file. 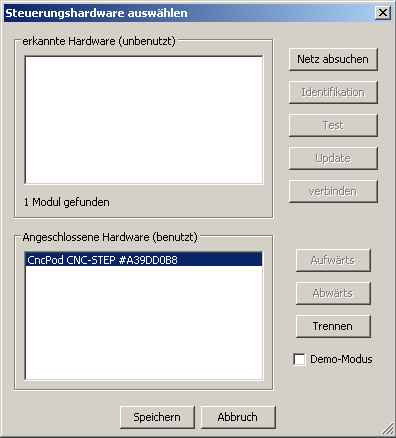 Select the one with the highest version number, which is suitable for the hardware module, unless you have received other instructions from support. A warning message is then sent. Please read this carefully and only confirm with „Yes“ when you are absolutely sure. Do not separate any cable during the update! During the update, you may not switch off the machine or remove the network cable. Doing so may irreparably damage the module. You now simply have to follow the instructions on the screen. After transferring the firmware file, make sure to wait until the alternating blinking between the LEDs on the CncPod stops. Only restart the pod by briefly removing and inserting the voltage supply (USB). Now select the module once again and connect it by pressing the „Connect“ button. 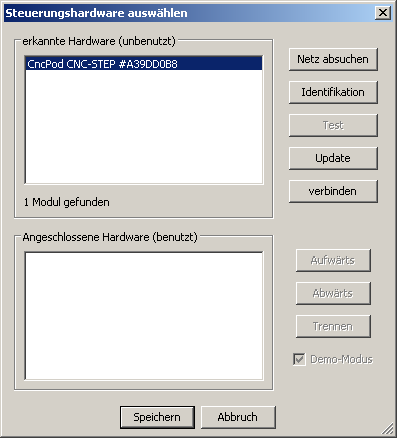 After the hardware module is successfully connected, then click on „Save“. 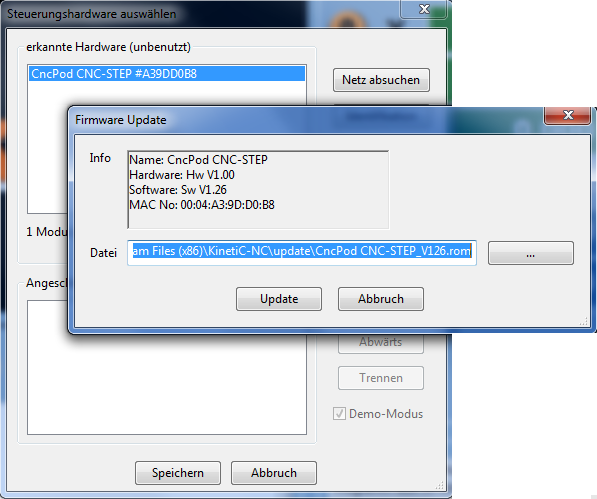 The hardware dialogue will then close and in the right lower area of the main screen you should find the message „Hardware connected: CncPod …“ .